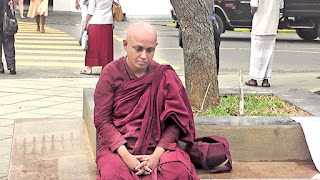 The Police have been informed that the Dasasil Matha who is staging a fast unto death near the Temple of the Tooth Relic, Kandy, has a connection with the Pivituru Hela Urumaya. The Dasasil Matha who commenced the fast unto death on January 22 demanding the government to give up power had refused to reveal her identity. Police have initiated investigations on information that the Dasasil Matha was from Giriulla. The Dasasil Matha is believed to have connections with the Pivithuru Hela Urumaya. 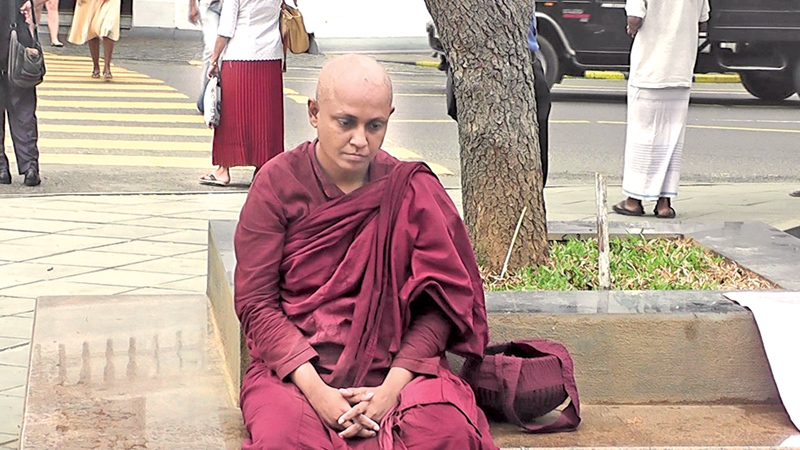 A doctor and several employees of the Kandy General Hospital that checked the health condition of the Dasasil Matha yesterday instructed her to admit to the Hospital. But the Dasasil Matha refused to do so and told them not to inquire her personal details.